*This is the original Article in its entirety. The only change was to add “Reja-Joy” next to the name of Joy Steadman [Green]. The intriguing story of how an old audio cassette, some Xerox copies and a few miracles led to a hugely popular book losing its copyright and entering public domain. In October of 1965, Helen Schucman thought she was going crazy. It didn’t make sense to her that she was sitting up nights with a steno pad taking notes from an internal voice. In fact, she found it pretty upsetting. Here she was, a Ph.D. in clinical psychology, a tenured Associate Professor at Columbia University Medical Center and she was hearing inner dictation? That wasn’t the worst of it. She was Jewish by descent and atheist by decision and the voice, when queried, told her that she could call him “Jesus.” All this did not sit well with the 56-year-old researcher. Plus, it was costing her sleep. Her boss, Dr. William Thetford, noticed Helen’s apparent preoccupations after a few weeks. When prodded, she told her colleague about the nightly scribing. He asked to see the manuscripts. Thetford was mightily impressed with what he read. There was a clarity and consistency of content that convinced him that something important was happening. Over the next seven years, Helen and Bill compiled the product of her scribing. She would dictate from her handwritten notes and he would dutifully transcribe into typewritten text. That manuscript became what the world would know as A Course in Miracles. The result of Helen Schucman’s experience was a three-volume set of hardcover books titled A Course in Miracles (ACIM), a spiritually- based, psychologically- oriented self-study course intended to gently guide the student toward a shift in perception and the experience of inner peace. Neither Helen nor Bill claimed authorship and it was generally acknowledged that the content was directly channeled to Helen from the source who called himself Jesus. A U.S. copyright was granted to the Foundation for Inner Peace, which published the set in 1975. But that wasn’t the first copy of ACIM to see print. 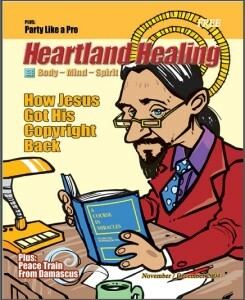 Copies of ACIM had been previously disseminated and in April of 2004, that caused a federal court to void the 1975 copyright, putting ACIM into public domain. How the court came to see that evidence is part of our story. After nearly seven years of laborious transcription, Helen and Bill had a finished manuscript that up till then had been seen by only a few acquaintances. In 1973, copies of that manuscript were given to more people, including Hugh Lynn Casey, the son of the late psychic, Edgar Cayce. Others who received copies included a coworker, a fellow psychologist named Kenneth Wapnick, a Catholic priest and another friend. All of them were similarly impressed with the work. In 1975 A Course in Miracles was published in three hardcover volumes: a 622 page Text, a 478-page Workbook for Students and an 88-page Manual for Teachers. The original publishers were two friends of Helen and Bill named Judith and Robert Skutch. They published the Course through the Foundation for Inner Peace and there was no author credited. Helen and Bill were reluctant to be identified with the Course because of concern over what some of their colleagues in the scientific community might think. The Course became known as a self- study curriculum that could help the student shift or change perception of the world. Teaching that cause was within rather than without and that a connection with the energy of the universe, love, would manifest miracle-mindedness, ACIM flourished and propagated around the world. By 1999 there were about 1.5 million copies in print and thousands of study groups. Its proliferation and recognition led to its increased stature. Willis Harman, a scholar and Regent of the University of California, professor at Stanford and major player at the highly respected Stanford Research Institute said of it, “A Course in Miracles comprises perhaps the most important writing in the English language since the translation of the Bible.” That feeling was shared by many scholars and students of the Course. In the early years, the Foundation for Inner Peace, the original copyright holders, had a very laissez-faire attitude toward reprinting or citing pas- sages from the Course. That suited students and groups using it in their materials. In 1999, nearly 25 years after initial publication, the copyright changed hands and became owned by Kenneth Wapnick and his Foundation for A Course in Miracles (FACIM). Things changed. 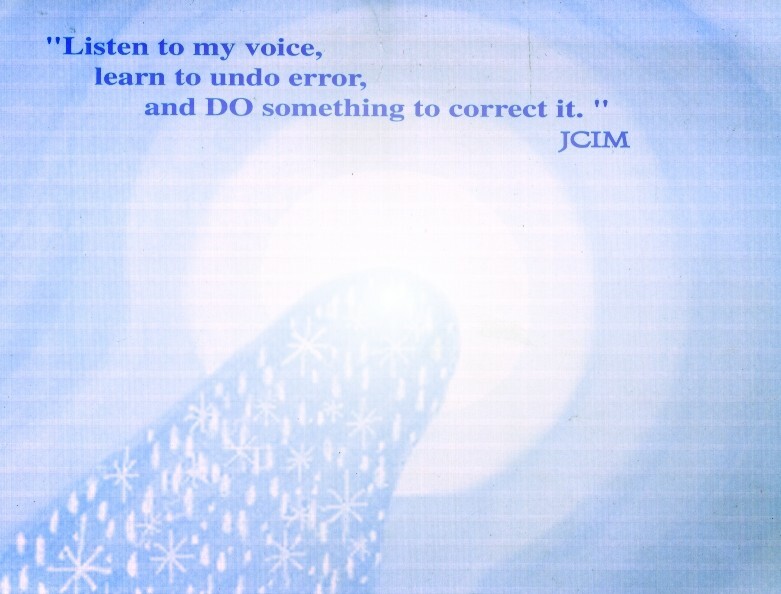 In 1999, Wapnick sent letters refusing permission for a number of ACIM study groups to publish excerpts from the work. This had been unheard of in the past and what followed was as American as apple pie: lawsuits. The stated motivation for studying the Course is peace. To find peace, forgiveness or changing our perception of the values we place on things of the material world is necessary. It was ironic then, that in 1999 the new owners of the ACIM copyright, FACIM, Wapnick and his wife Gloria, became embroiled in a contentious lawsuit with a community in Wisconsin known as the Endeavor Academy, comprised of longtime students of ACIM. Here were two proponents of a course of study that teaches peace and is believed to be channeled from the Prince of Peace Himself and they were acting anything but peaceful. What transpired was that in April of 2004, a Federal judge set aside the copyright that had been granted to Foundation for Inner Peace back in 1975. A Course in Miracles entered the public domain. Omaha attorney Tom Whitmore was a major energy leading to that historic ruling. He and the group he formed to further the free use of ACIM have also been involved in litigation with the Wapnicks and FACIM. Whitmore began studying the Course in 1992. “It was the bookstore angels that did it. I was in Pegasus Bookstore one day, browsing,” said Whitmore. “I was in the spirituality section and the thing basically fell off the shelf and landed on my foot. I don’t recall if that’s literally true but I’ve told the story so many times now that it seems like it is. I didn’t know anything about the Course nor had I ever even heard of it. A Creighton graduate and a practicing attorney in Omaha since the mid-70s, Whitmore recognized the importance of access to the material contained in ACIM. Groups had used parts of it in teaching for years. “When the Course first came out, [the original publishers] were allowing people to publish excerpts from it and artists to use phrases and so on,” Whitmore added. Things changed when the copyright shifted from the Skutch’s Foundation for Inner Peace. It’s a murky story why that happened in the first place. “The story put out to the world was that Judy and Robert Skutch were getting on in years and it was time to pass the torch to the next generation. At least, that was the way they spun it,” Whitmore recounted. “But I believe there was some infighting going on. Gloria and Ken Wapnick were agitating for tighter control of the Course and tighter enforcement of copyright. I’ve heard from insiders that Skutch basically just threw her hands up and said, ‘You guys do it. I’m not going to have any part of this.’ That is what I understand. “And that resulted in commercialization of the Course. As soon as Wapnicks got control of the copyright, they entered this multimillion-dollar contract with Penguin Books for publishing and Penguin began a campaign to proselytize the Course in the world. “Gradually [FACIM and Wapnicks] began to tighten the process until even what we consider fundamental fair use was restricted,” Whitmore said. Contention escalated into the inevitable lawsuit. A fateful demonstration of pride started the ball rolling. “It’s a series of lawsuits, really,” explained Whitmore. “One was brought [against] the New Christian Church of Full Endeavor in Wisconsin Dells, Wis., also known as the Endeavor Academy. “Endeavor is a Course-based community. They have residential facilities and what I would call graduates of that residential program who are out in the community and have jobs but are still centered around the Academy. “Endeavor printed materials from ACIM to help with teaching programs. For example, they took lessons from the Workbook and printed them in booklets with places for notes. They have done teaching videos, audio tapes and printed material. “They had done a printing that contained extensive ACIM quotations and teachings around that material. They weren’t selling it or anything. They were giving it away to their students. Part of the contention of the Endeavor Academy legal team was that A Course in Miracles is the word and teaching of Jesus and therefore, as channeled information, is public domain. Although some case law supports that contention, it turned out not to be the strongest argument. The word of Jesus wasn’t enough but divine intervention may have played a part. To challenge the copyright, Endeavor Academy eventually chose to assert that the copyright should be voided since so many copies of the Course had been disseminated in various forms prior to copy- right filing. At least four versions existed and were distributed without restriction before the first 1975 copyrighted edition. One of the reasons Endeavor chose that defense was because of the discovery of some compelling evidence. That turned out to be the key legal point and it wouldn’t have worked but for two crucial pieces of evidence. One was the prior copy given to Hugh Lynn Cayce, now called the HLC text, two years before the 1975 copyright. “Without naming names,” Whitmore demurred, “one of the publications of the Course that was a cornerstone of Judge Sweet’s opinion that the material had already gotten into the public domain was a complete copy of the Course, all three volumes, that Bill Thetford had sent to Hugh Lynn Cayce at the Cayce Institute in Virginia Beach, Va. in 1973. That three- volume set ended up in the library at the Cayce Institute where the public could view it. Establishing that there were previously distributed copies of ACIM floating around long before the 1975 version was a crucial part of the Endeavor Academy’s defense. The copy of that HLC text was important for that. But an even more compelling piece of evidence seemed to seal the deal. An audiotape was discovered that held the voice of Judith Skutch from a lecture she delivered sometime in the 1970s. “We had already begun to assist the Endeavor Academy on their legal case,” recounted Whitmore. “An interesting story that involves an important piece of evidence involves Joy Steadman [Reja-Joy Green] from Omaha. She was a member of our group, A Course in Miracles Society, and she was traveling to visit her sister in Arizona. She stopped at a friend’s house, a fellow Course student, in Santa Fe. “She learned that one of the people there, a fellow named Lee, had recorded a Judy Skutch presentation about the Course in Miracles back in the middle 1970s, when the ink was still wet. Lee recalled that in that presentation Skutch had talked about all the enthusiastic copying and distribution of the Course prior to the time the Criswell text had been print- ed. Now, realize, that is an important point about prior distribution. “On that tape, you hear Judy Skutch around 1977 saying, ‘Oh, yeah! We printed hundreds of copies of that thing. That’s why we had to print the Criswell because the demand was so strong for it we couldn’t keep up with it at the Xerox machine. Can you imagine a nickel a page?’The court hearing her own voice saying that was a pretty persuasive piece of evidence for Judge Sweet that there had been prior unrestricted distribution. “Lee, the man from Arizona, traveled to New York to authenticate it and that was important. In court depositions, Skutch claimed that it was just ‘sales talk,’hyperbole. Whitmore received a copy of the early HLC text. “I didn’t know what it was when I got it. I eventually opened it and saw how different it was from the popular 2nd edition that is in bookstores that I had been studying for 10 years or so,” Whitmore said. “In the first four chapters [the HLC text] contained 25% more material than the [bookstore] editions. Some of it was pretty significant to me. Some was subtle and some changes in emphasis and nuance and some of it was absolute change in meaning. “I thought, ‘We need to get this out.’ So we created a non-profit corporation. There were a lot of collaborators in this process. We had people on four continents in the group, called Course in Miracles Society. Of course, publishing that version opened Whitmore and his group to legal interaction with Wapnick and FACIM. “We printed 1500 and within a couple weeks had mailed about 500 to people who wanted it and then were hit by an injunction and had to stop. “Two things happened. When we published, we filed a lawsuit in Federal court in Omaha seeking a declaratory judgment that the copyright was invalid and unenforceable, which would permit us to continue our publication. Four days later, FACIM, Dr. Wapnick’s organization, filed a lawsuit against us in Louisville, KY., where one of the directors resided, claiming an infringement on their copyright. So we had these Federal court cases pending. They prevailed on the judge in Louisville to issue an injunction prohibiting us from transferred to Louisville. “Our case is still pending but we’re on the cusp of settlement. We have a settlement agreement in our hands that has been verbally agreed upon between the two sides. It hasn’t been executed yet. The terms will have to remain confidential under the agreement itself but it will allow us to resume publication. After FACIM gained control of the Course copyright, it seemed to become like any other book. Course students don’t think of ACIM like that. “It’s the commercialization of it. [FACIM] treat it like a bag of FritosTM and then they try to put a copyright on the material and then put a trademark on the name, of all things,” continued Whitmore. “They are trying to trademark the title of the book. That’s the last part of the Endeavor Academy suit that still has to be decided, the validity of that trademark. I think that will be thrown out, too. Students of the Course believe its content should be free to reprint. Whitmore explained the importance of this landmark copyright decision. And the Omaha version of the Course? If Wapnick’s lawsuits and restrictions on the use of the words in A Course in Miracles had not happened now, the status quo (i.e., somewhat limited and allowed use of ACIM content, done with a wink and a nod but no officially granted freedom) may have continued for years. Who knows? Years down the road, if restrictions and lawsuits materialized then, perhaps no copies of previously published versions of the text or dusty audio cassettes may have existed. Defendants in any lawsuit then may have claimed prior publication, but without evidence, it would have been hard to prove. Now it’s done. Jesus got his copyright back.